On the PDF produced by Post Gopher you will see a link that says "Created by Post Gopher". This is YOUR affiliate link, enabling you to earn passive commissions when any of your readers click on the link. During this phase of the project, we feel this is important for you since Post Gopher is so new and is "selling like hot cakes". Be sure you have put your JVZoo affiliate ID on the Post Gopher PDF SetUp Page. To highlight your brand, in the Post Gopher setup on your site, be sure to fill in the Name field, upload your Logo and maybe include your business name in the Copyright message too. 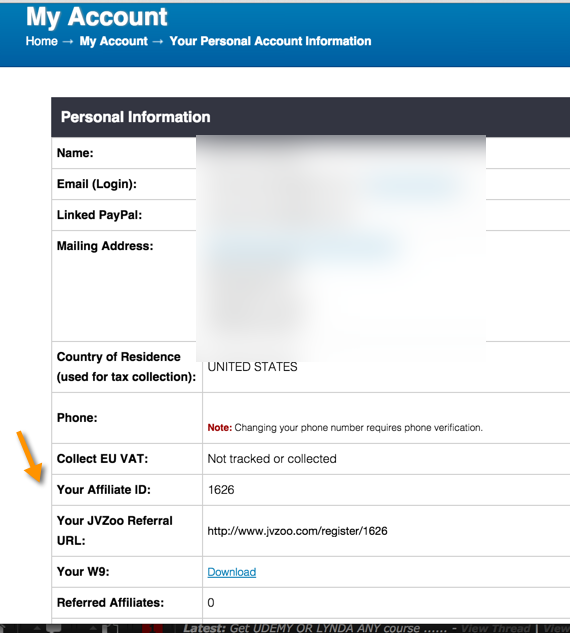 Then find your JVZoo Affiliate ID when you login to your JVZoo account. Once you've got your ID, go to your WP site, click " PDF Setup" under Post Gopher and enter your JVZoo affiliate ID in the Powered By Link Box.